Each Octocpal squirts water and features a different number that corresponds to the base. Number matching game promotes development of early skills. Mummy octopus separates and becomes a fun pouring cup. Baby octopuses can also stick to the bath or tiles for extra fun. Includes mummy octopus and her 8 babies. Bath time has never been so much fun with the Tomy Octopals. 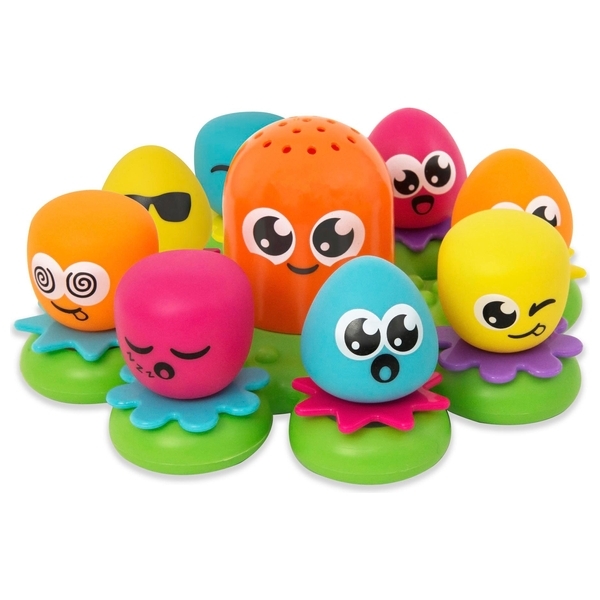 This colourful floating bath island toy will keep your little one entertained.Tomy Octopals, contains the mummy octopus that acts as a pouring cup and her 8 babies that can stick to the sides of the bath or tiles.